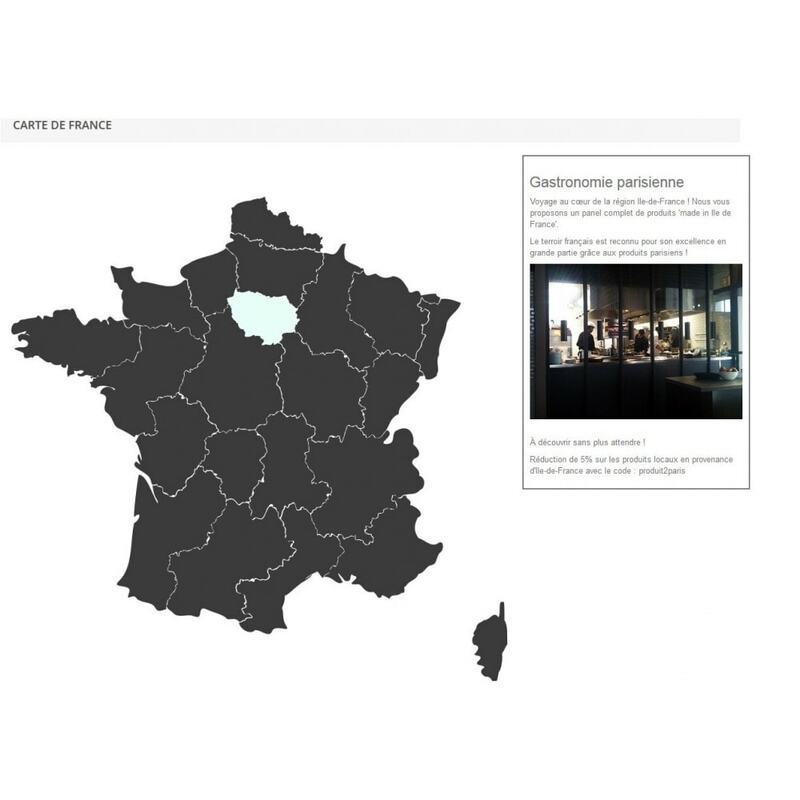 Display an interactive map in homepage of your e-commerce website. 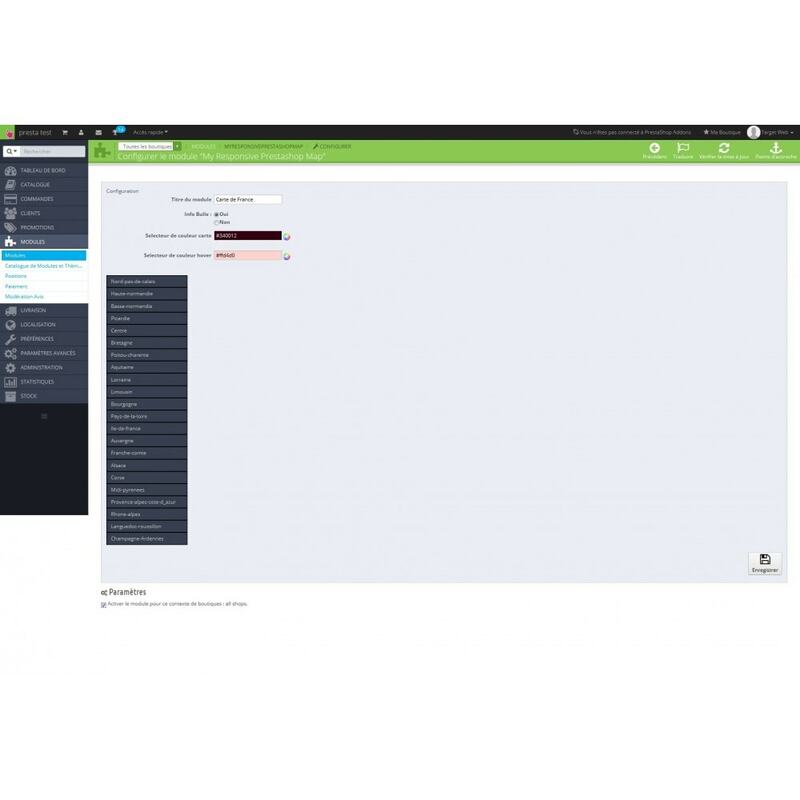 Sort out your products by region, and offer a local hierarchical organization of your catalog. 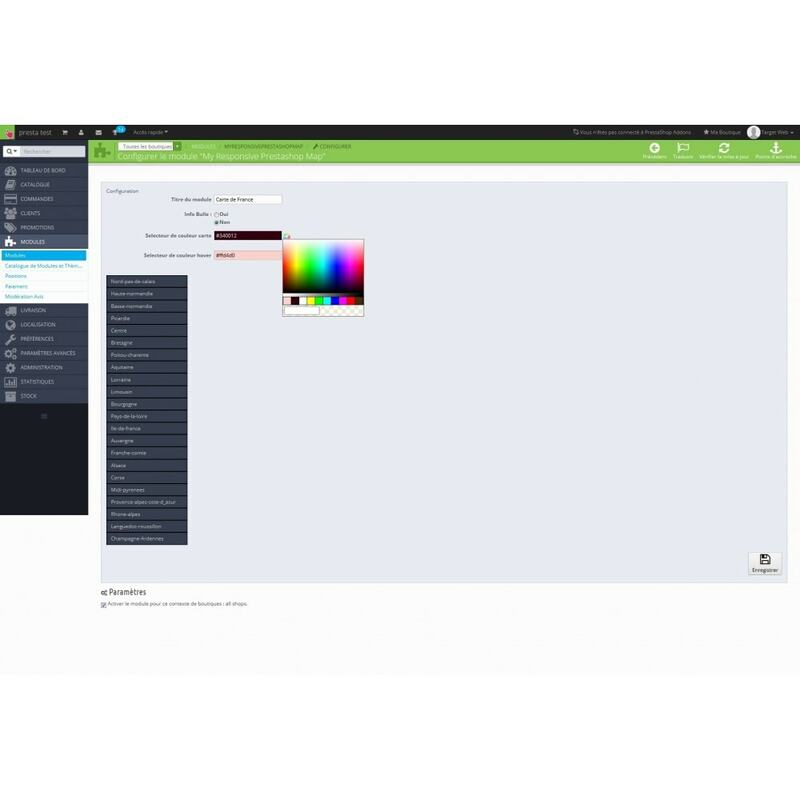 Completely customisable, you can define colors, links, tooltips and titles. 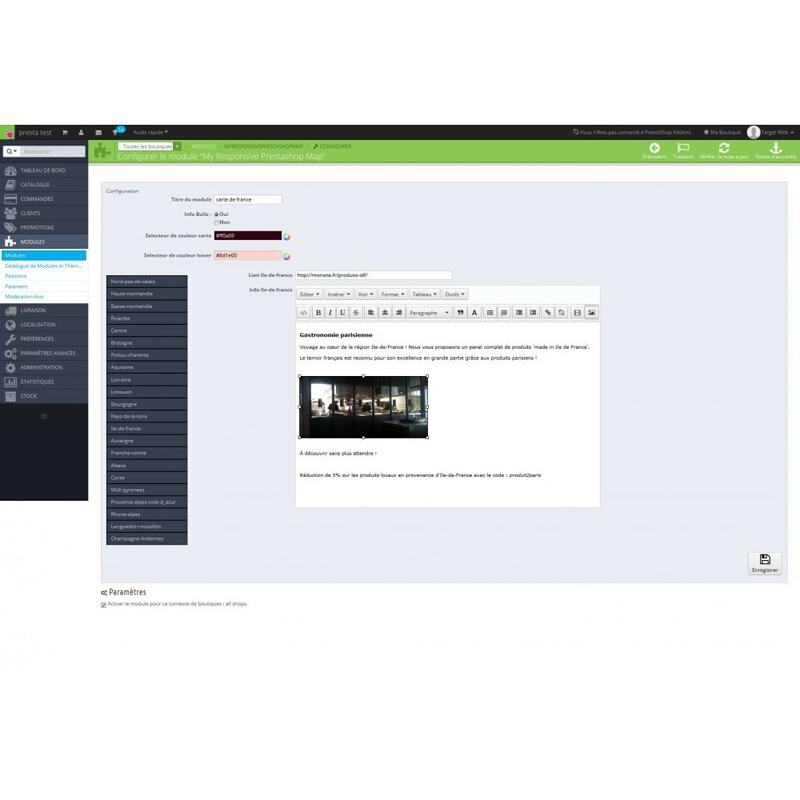 This plug-in allows you to define specific landing pages according to regions. 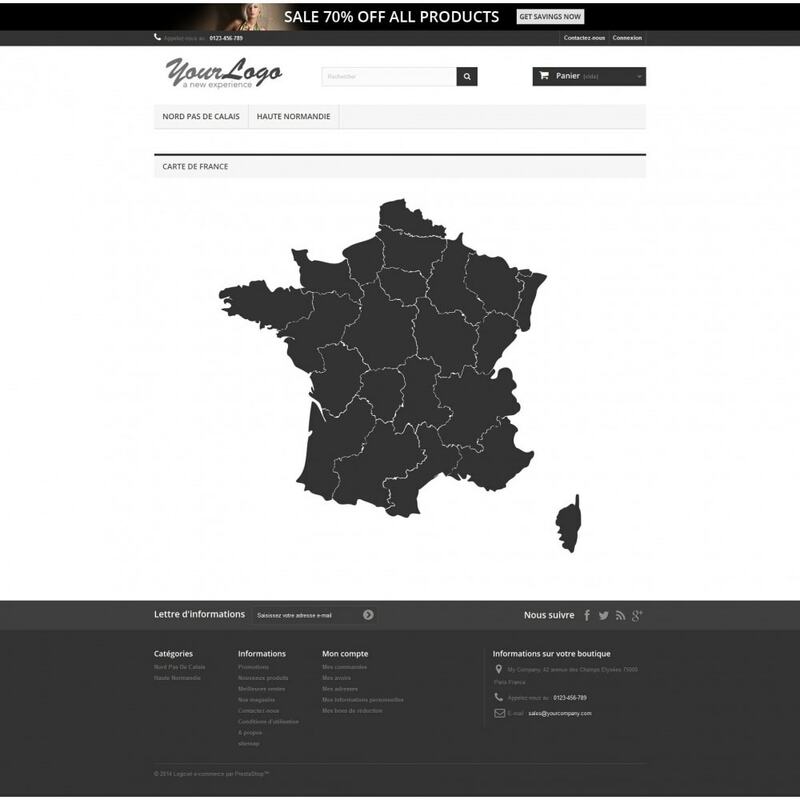 As an example, you can define a category by region and propose a different catalog to your customers for every region of France. Furthermore, the map adapts itself on all types of media (smartphones, tablets and computers) and colors are completely adjustables to those of your online shop. 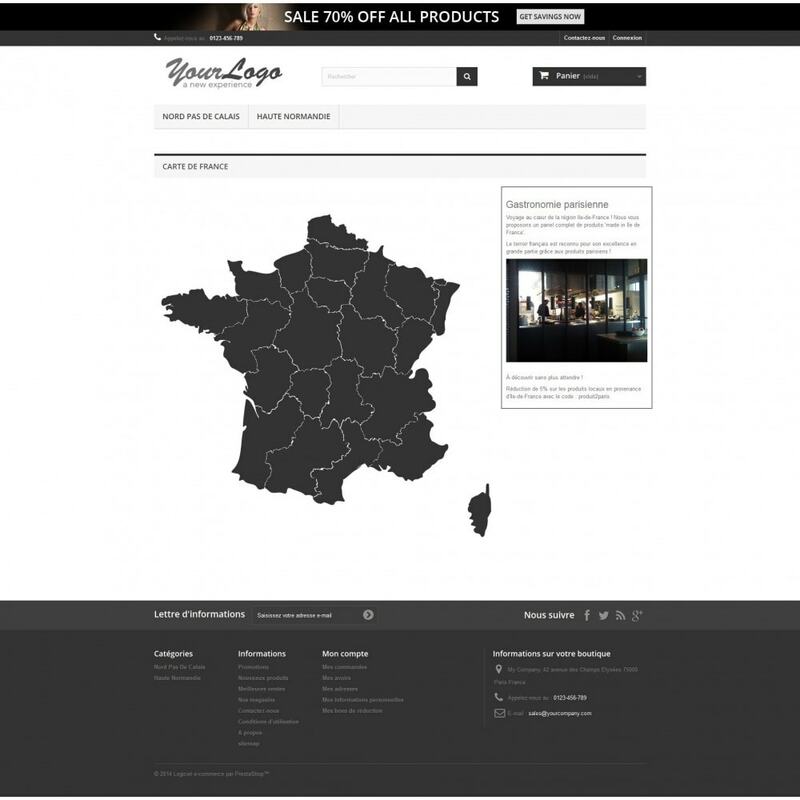 An incomparable interactivity for your online shop! Target Web is a digital communication agency specialized in e-business and online stores since 2009. Creation, webdesign, development, webmarketing, we master every aspect of e-commerce to assure you the most complete possible service.